Juan Carlos is a seventy year old fisherman from Lobitos, Peru. Since he can remember, he spends every day of his life on the sea. With his son Pedro, he fishes until the family has food for the day. Some fish he sells to the surfers or trades against vegetables and fruits. He loves the taste of the red ones they catch and the sunrise far from shore. Scientists have found that corals, long believed to be passive organisms relying entirely on ocean currents to deliver nutrients, are actually quite active, engineering their environment producing strong swirls of water that draw nutrients toward the coral, while driving potentially toxic waste products away. Coral reefs may look static to the naked eye, but scientists have now seen "violent" activity on their surface. Using powerful microscopes, researchers filmed tiny hairs on the surface of corals "stirring up" surrounding water. They say that these swirls of water draw nutrients towards the coral, and may also drive away potentially toxic waste products. Scientists from the Massachusetts Institute of Technology and the Weizmann Institute of Science (WIS) in Israel studied corals grown in a laboratory tank. "The general thinking has been that corals are completely dependent upon ambient flow from tides and turbulence [to supply nutrients]," said Orr Shapiro from WIS. These detailed observations overturn that idea. The researchers added tiny "tracer particles" to the water, which enabled them to see and capture images of the movement and flow near the surface of the coral. They also combined powerful microscopes with high speed cameras, capturing footage of the tiny hairs, or cilia, on the corals' surface. The resulting slow-motion footage was magnified by up to 1,000 times. It showed, the researchers reported, the cilia beating and "vigorously stirring a layer of water that extended up to 2mm from the coral surface". "I was very surprised and so was the entire team," another author of the study, Prof Roman Stocker from MIT told BBC News. 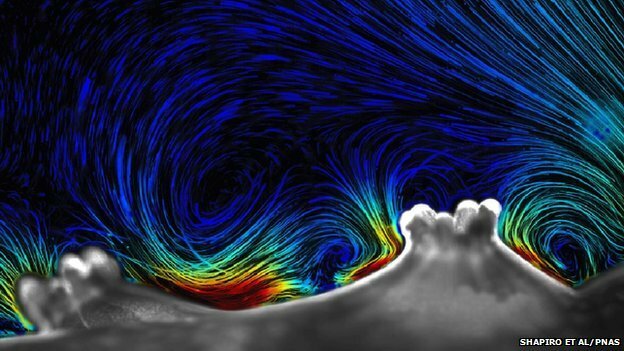 "We knew that corals have cilia, but did not expect that they could produce flows that are so violent." Such a close-up understanding of how coral reefs work could help predict how they will cope with a changing ocean environment in the face of climate change. "An active control over the environment suggests a potential ability to cope with changing conditions," said Prof Stocker. "Although we must be careful in drawing this conclusion, as other factors, such as increased virulence of bacterial pathogens [in warmer] conditions may well tip the balance for corals the other way." The researcher also pointed out that the experiments could play a role in human health research. Cilia are found inside human airways, where they help to sweep away contaminants, but these microscopic internal hairs are very difficult to study. "It's rare that you have a situation in which you see cilia on the outside of an animal," said Prof Stocker. " "So corals could provide a general model for understanding ciliary processes related to disease." Many of you have had summer fun with citizen science at the beach, intertidal zone, and ocean. What do your efforts contribute to? In a new chapter, Martin Thiel and colleagues tallied the contributions of citizen science to marine research. Thiel is known for his research relying on volunteers who clean up beaches, but for this chapter they looked at over 200 studies on topics that ranged from algae to vertebrates. About 40 of the studies were local, 122 were regional, and 65 involved larger geographic regions (28 national, 28 international, 9 global). Most commonly projects involved surveys, transects, and opportunistic sightings. 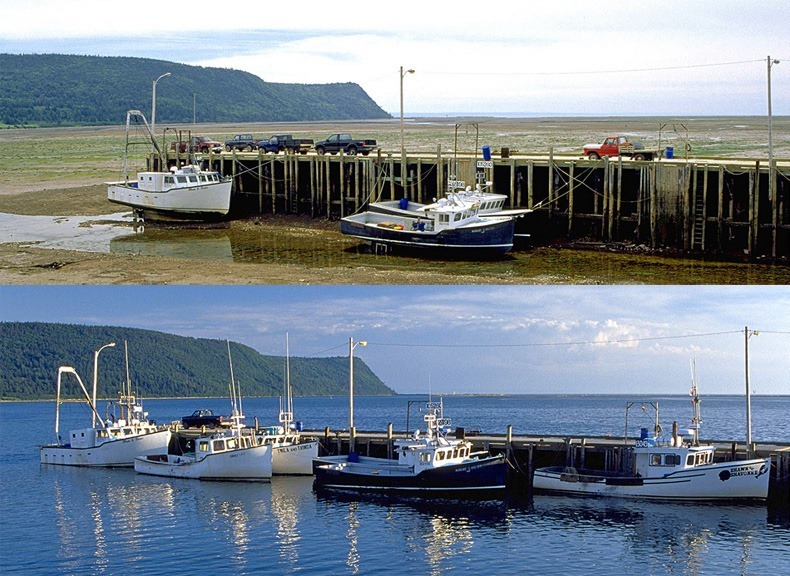 Marine scientists often depend on non-scientists, from general public to fishermen to ship crews to beachgoers. Thiel reviewed papers published within the past 30 years, but some of the research papers were based on decades of citizen science; one was based on over 150 years of continuous data collection. This is not a new phenomenon. I first learned about the history of citizen science when I read about the father of Oceanography, Matthew Maury. In this context, I felt that modern citizen science is actually quite retro, which inspired my post about Maury (below), originally at Scientific American. My area of research, citizen science—a term applied to data collection methods that engage the public in scientific research—is not a newly invented style, either. Public involvement in science is a time-honored tradition that is enjoying a hip resurgence as it combines with today’s sophisticated and increasingly commonplace technologies, like GPS units and smart phones. In an earlier Guest Blog post I suggested that citizen science in the US dated as far back as 1776, with Thomas Jefferson’s vision of a nationwide weather monitoring program. Afterward, people wrote in to tell me about their own favorites. Though many of these, such as Henry David Thoreau or Charles Darwin, were naturalists or lay scientists rather than citizen scientists per se, two suggestions particularly intrigued me: Mathew Fontaine Maury, an American naval officer, and William Whewell, a British scholar. Both men spearheaded citizen science in the mid-1800s with large-scale, accurate and systematic science projects. The projects were carried out by rank amateurs, and led to discoveries that had great societal importance. The two men differed in their nationality, vocation, and perspective on the role of science in society. Their stories illustrate that we are in an exciting era where history is indeed repeating itself. For today, let’s meet the American. In 1825, Matthew Fontaine Maury was a 19-year-old when he left home and joined the U.S. Navy. Maury began his naval service as a midshipman on a frigate (the Brandywine), rose through the ranks of lieutenant, commander, and commodore, and culminated his career as Superintendent of the U.S. Naval Observatory. Over the course of his distinguished naval career, Maury contributed to our understanding of astronomy, oceanography, and meteorology. He carried out much of his research by crowdsourcing dispersed and historical observational records and through the establishment of a global citizen science project that continues to this day. Matthew Fontaine Maury is the father of modern hydrography in the United States Navy. He served as superintendent of the U.S. Naval Observatory from its founding to the start of the Civil War, when he resign to supervise maritime defenses for the Confederacy. This chart pays tribute to his leading role in establishing the charting and scientific studies that were critical to the ascendancy of the United States as a maritime economic and military power in the nineteenth century. From the start, Maury showed an interest in engaging the public in exploring the world. Soon after returning from his first voyage, he became the first U.S. Naval officer to write a book on nautical science, which was later used by the Naval Academy. 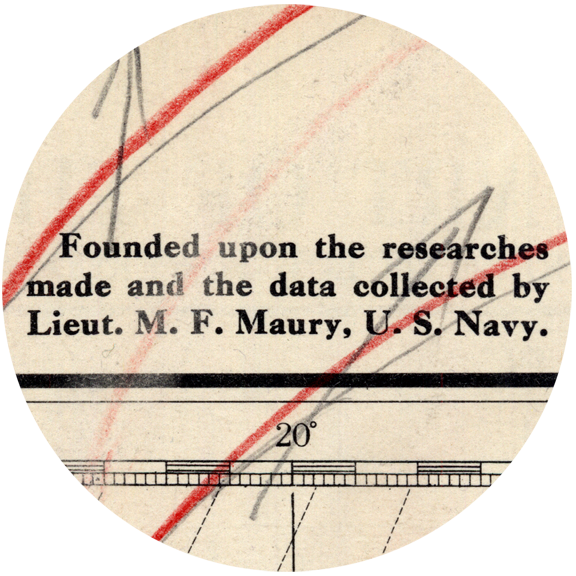 Maury embarked in crowdsourcing data in 1842 when, as a lieutenant, he was placed in charge of the Depot of Charts and Instruments of the Navy Department. 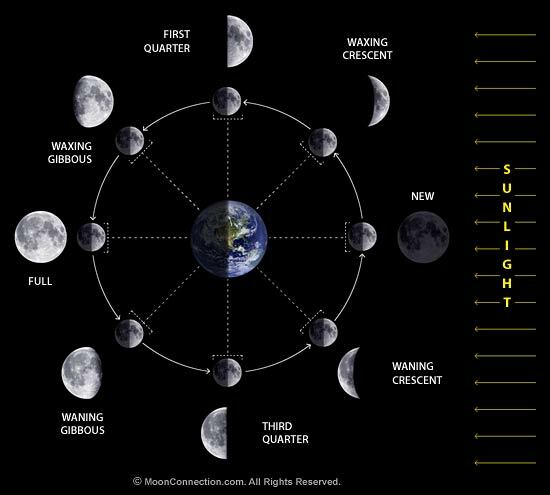 Sailors followed a strict routine and were systematic in recording very specific observations around the clock. Ships were mobile weather stations, accumulating a standardized set of weather variables with the strictest regularity at 15 minute intervals. As much as sailors emphasized these routines, once a voyage was completed, the logs were practically viewed as rubbish. But when Maury saw the Navy’s stockpile of old ships logs, he quickly realized the collective information could improve navigation. Maury developed a method to systematically extract key information from each log book. Today, in an era of climate change, the information from old logs are valuable again. For this reason, people across the globe transcribe old ship logs in a project called Old Weather, one of several on-line citizen science projects in Zooniverse. Maury didn’t have the help of an online network of volunteers, but he still assembled the resulting information into the colorful publication of a “Wind and Current Chart” of the North Atlantic in 1847. It was a natural progression for Maury to develop a system that streamlined his ability to continually improve navigational charts. Maury developed standardized data forms that could function as specially formatted logs. He sent these forms, along with instructions and up-to-date charts, to mariners. Some data may have come from Navy ships, but the notable data were voluntary contributions from merchant vessels. Within four years, over one thousand ships were sending reports to Maury from across the seven seas! 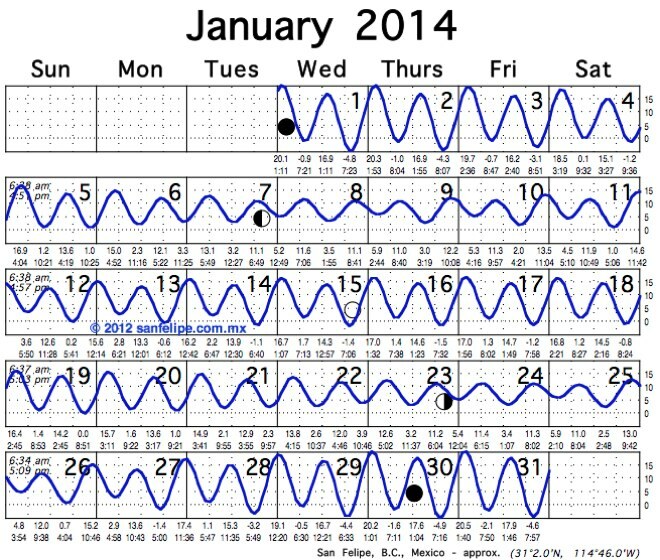 Maury quickly incorporated the data to make new charts of trade winds, thermal charts, whale charts, and more. The increased speed of travel across all the oceans saved millions for ocean commerce. Before Maury’s charts, passage from New York to San Francisco took over a year. With the help of Maury’s full color charts, the trip could be taken in a swifter vessel and reduced to a speedy three months. 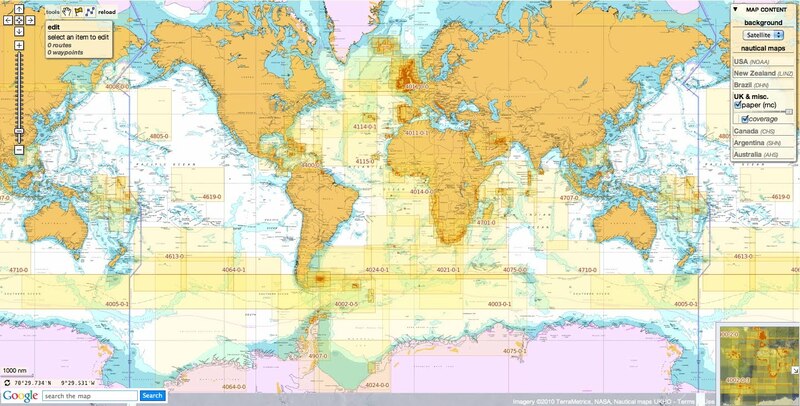 Overview of Sailing Directions coverage. The numbers in the squares indicate the individual Planning Guide coverage areas. Maury’s legacy continued to contemporary times in the form of Sailing Directions, a 42-volume publication by the National Geospatial-Intelligence Agency (NGA). Maury’s brainchild ended up in the NGA, the same organization credited with gathering the intelligence that allowed the U.S. military to raid the hiding place in Pakistan of Osama Bin Laden in 2011. Yet, because Sailing Directions is based on data contributed by cooperating merchant ships, I categorize it as citizen science. In the late 1840s, Maury urged farmers to start a similar global system of meteorological observations on land, using the telegraph to aggregate reports in one location where his office could formulate weather forecasts. When Thomas Jefferson envisioned this, the Revolutionary War made it difficult if not impossible. For Maury, the Civil War had the same effect. Yet Maury continued to see uses for large piles of otherwise overlooked observations. In 1847, Maury saw a way to use historic observations to aid astronomy. That year, European astronomers discovered Neptune. This was the first time a planet had been found through mathematics: perturbations in the orbit of Uranus could not be mathematically resolved unless another large object beyond it was assumed to exert influence on its orbit. The key element of a planetary discovery is the computation of its orbit, but for Neptune, the mathematical rather than strictly visual nature of the discovery meant that computation would take 50 years or more. Maury realized that instead of waiting 50 years, he could search archived records for clues in the past 50 years. 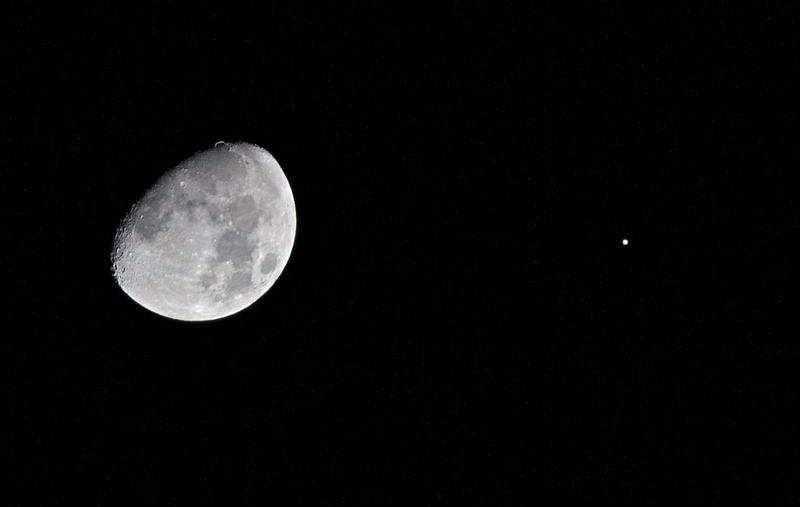 He and an assistant found that Neptune had been seen in 1795 but misidentified as a fixed star, and this enabled immediate computation of Neptune’s orbit. When Matthew Maury saw a problem, he used scientific observations to find a solution. Maury’s ability to express his curiosity and delight with the natural world inspired others to join his scientific pursuits and gave them a more reliable way of understanding the world. Sailors’ lives were full of risks because they didn’t fully understand the oceans. To deal with the risk, they believed in omens, superstitions, and good and bad luck. 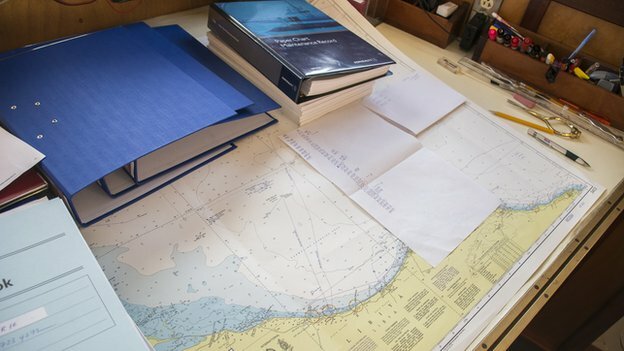 The maps Maury produced immediately dispelled some of the misunderstanding and allowed mariners to benefit from collective knowledge. "just the mapping apps for the 70% of the world that Google Maps does not cover..."
Today, the benefits of collective knowledge are helping turn citizen science into a retro fashion. It’s growing in popularity, independently in many disciplines, and emerging under different names (Community-based Participatory Science, Participatory Action Research, Open Science, Street Science, Community Science, Crowdsourcing, and the list goes on). An umbrella term, Public Participation in Scientific Research, now unites the field—and I’ve recently returned from a conference that brought together almost 300 people active in this field. No matter what it’s called, people participated in Maury’s science to make their lives better, and to feel enchanted and curious through the process of discovery. Maury could be a poster child for a time when citizen science embodied the democratization of science. Maury’s research was by the people, and for the people. During the same period as Maury’s work, another pioneer in citizen science was working to professionalize science and to distinguish the scientist from society. The Vessel-ID System investigation on the International Space Station demonstrated the ability for a space-based radio receiver to track a ship’s Automatic Identification System (AIS) signal, the marine equivalent of the air traffic control system. The Vessel-ID System investigation on the space station demonstrated the ability for an orbit-based radio receiver to track a ship’s Automatic Identification System (AIS) signal. 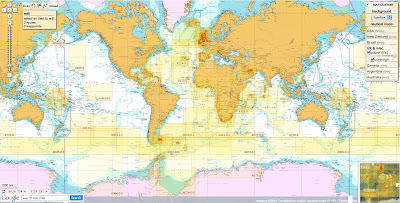 The AIS signal is the marine equivalent of the air traffic control system. The Norwegian User Support and Operation Centre in Trondheim, Norway, receives the data for near-continuous evaluation. The Vessel-ID System is installed on the European Space Agency’s Columbus module. Since being turned on in 2010, Vessel-ID has been able to relay more than 400,000 ship position reports from more than 22,000 ships in a single day, greatly advancing the ship tracking ability of coast guards around the world. This ability, coupled with multiple AIS tracking satellites launched since, is providing safer travel among the waves for thousands of ships around the globe. 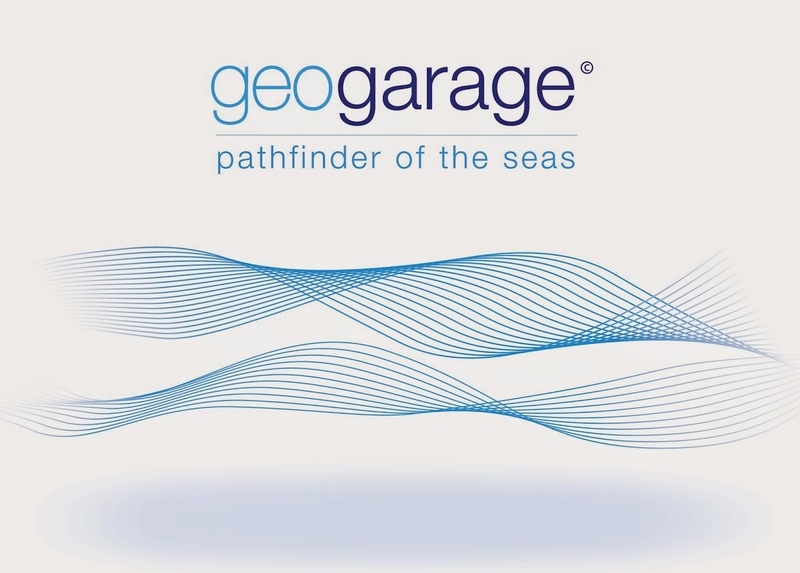 The ship identification and tracking system technology already aided in orienting rescue services for a lone survivor stranded in the North Sea, giving new hope to once impossible situations. 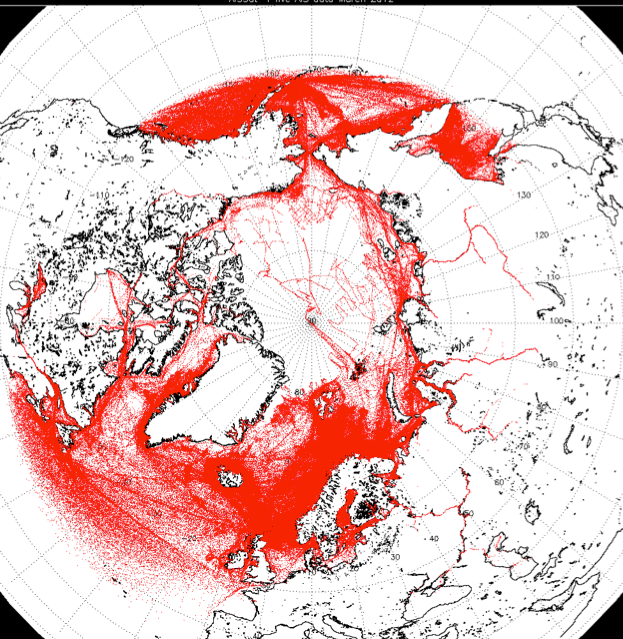 “This brought a whole new dimension to the monitoring of ship traffic on the open oceans,” said Terje Wahl, of the Norwegian Space Centre. FFI has performed a feasibility study on space-based reception of AIS messages. The results show a ship detection probability of near 100% for up to 1000 ships within the coverage area, and a signal power margin of 10 to 20 dB for a standard AIS receiver. A space-based AIS receiver will cover Norwegian waters up to 15 times a day in the northern region, and more than 8 times a day in the south. The data will include ship identity, position, speed, bearing, etc, and make it possible to track a high number of ships. A constellation of four satellites will give global coverage approximately every hour. To overcome saturation problems for more than 1000 ships, a study on an optimized system for global surveillance was done and presented to the International Maritime Organization. 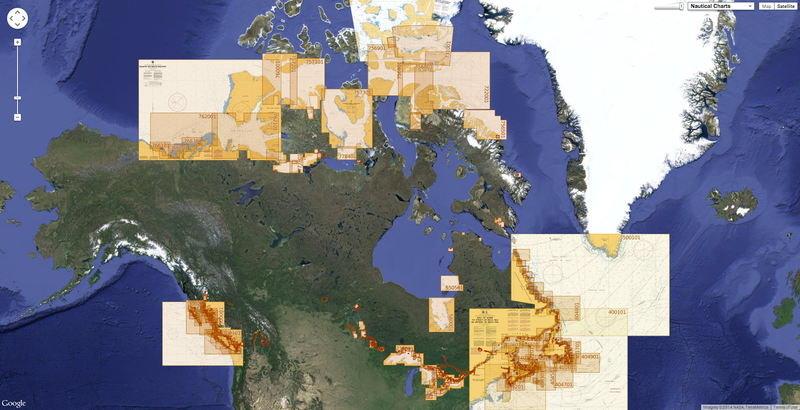 This slightly modified AIS system can be an option for Long- Range Identification and Tracking. Each year, thousands of migrants try to cross the Mediterranean to reach Europe from north Africa - but many of them do not survive the journey. Almost 2,000 migrants have died in these waters since the start of the year, 1,600 of them since the beginning of June, according to the UN Refugee Agency UNHCR. Now a philanthropist couple from Malta have launched what they say is the world's first privately funded boat to help migrants in trouble at sea. A philanthropist couple have launched what they say is the world's first privately funded vessel to help migrants in trouble at sea. But can one ship really help the thousands of people who try to cross the Mediterranean each year? "Our primary aim is to prevent loss of life at sea, not to ferry migrants from one point to another… we will follow the laws of the sea which oblige all vessels to help in case of distress,"
Last summer, Regina Catrambone and her husband Chris were on board a yacht cruising around the Mediterranean - but the idyllic holiday scene was interrupted when they spotted something in the sea. "My husband and I were on the deck and we saw a winter jacket floating in the water, like a ghost," says Regina. They asked the captain how it ended up there. "His face became very dark and he said probably the person who was wearing it is not with us any more. That started to trigger our attention." They realised it had probably belonged to one of the thousands of migrants who try to cross the Mediterranean to reach Europe - 1,889 have died in these waters since the start of the year, 1,600 of them since the beginning of June, according to the UN Refugee Agency UNHCR. The defining moment for the couple came soon after, when they saw Pope Francis on television, calling on entrepreneurs to help those in need. From this moment came the idea of buying a boat and doing something in the Mediterranean, where people are dying every day." By October, when the Catrambones heard how more than 360 migrants had drowned near the Italian island of Lampedusa, they were determined to turn their plans into action. Since then the couple, who are in their 30s, have drawn deeply from their own pockets to fund a highly-sophisticated ship, the Phoenix, based in Malta, where they live. It has dinghies and two state-of-the art drones which they are using to find and help migrants trying to enter Europe by boat, mostly from Africa. "The Mediterranean is one of the busiest seaways in the world, as well as a dangerous sea frontier for migrants and asylum seekers en route to southern Europe. In view of the perils UNHCR again calls on all vessels at sea to be on alert for migrants and refugees in need of rescue. We also renew our call to all shipmasters in the Mediterranean to remain vigilant and to carry out their duty of rescuing vessels in distress." They have named their operation Migrant Offshore Aid Station (MOAS). But while some ships begin life on the sea with a bottle of champagne smashed against their hull, the Phoenix began its time as an aid station for migrant ships by having holy water sprinkled inside it. During a Catholic mass, held in the ship's lounge the day before the Phoenix embarked on its first patrol on Monday, a priest told the assembled crew that they are on a mission from God. He gave each of them a small bottle of holy water from Lourdes and gave the ship a golden crucifix to carry out on the Mediterranean. The service was "very important for my husband and me, and for the crew to have spiritual support before they leave, because they will be weeks at sea so they will need God's help," says Regina, who is Italian. 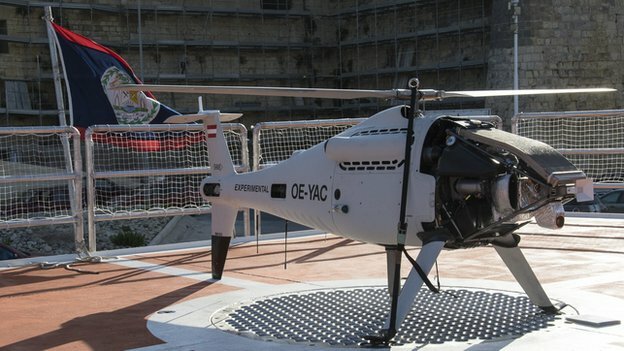 The camcopter, weighting 200kg, can do six hours at a stretch and can cover 200km per hour, operated within a maximum range of 100km. The camcopter, equipped with infrared cameras, can also send clear images during the night with a camera so sharp it can actually read what’s written on the palm of a hand. Her husband Chris, who is from New Orleans in the US, proudly shows off the custom-made flight deck, home to two Schiebel S-100 camcopters, or drones, which MOAS has leased. He explains how their HD-quality, night vision and thermal imaging cameras are powerful enough to read a piece of paper in a passenger's hand from the air. "We are making history in many ways by being the first civilian ship to use such grand technology. We hope that this is going to change the environment for rescue at sea. We're innovators here. We're trying to do something that no-one else has been able to do. We've put our money where our mouth is," he says. When the ship comes across a migrant boat in international waters, the crew will contact the nearest authorities. "We will communicate the position of the boat in distress to the authority and we will wait for what they tell us to do," says Regina. While they wait for instructions, they will use the dinghies to approach the boats, pass over food, water and lifejackets and offer medical assistance - the Phoenix has a paramedic on board and also has a well-equipped medical bay. "However, in case the boat is taking water, or the number of the people [on board] is higher than should be, we will communicate that to the authorities and we will do what needs to be done. If we need to take people on board we can, until Malta or Italy come to take them, and disembark them on land." Regina and Chris will take it in turns to go to sea on the Phoenix. It may seem naive to think such an operation can be carried out by civilians but the director of the project was, until recently, the commander of the Armed Forces of Malta and members of the crew have experience in the armed forces, maritime rescue and medicine. The entire project, the couple say, has cost them "millions" with the total running costs of the ship's initial 60-day mission being 2m euros, (£1.59m, $2.64m) which they say is the extent of their budget. The Catrambones have a group of companies registered in Malta, providing insurance and services to people operating in conflict zones. They are hoping to crowd source extra funding for MOAS, aside from their own cash, and extend it into an all-year-round operation. According to the UNHCR, about 19,000 migrants have arrived in Malta from Libya since 2002. Last year it was estimated that about 30% are still on the island, which has a local population of some 417,000. Once they are ashore tensions frequently arise, with less than charitable comments about migrants often appearing on Maltese media websites. 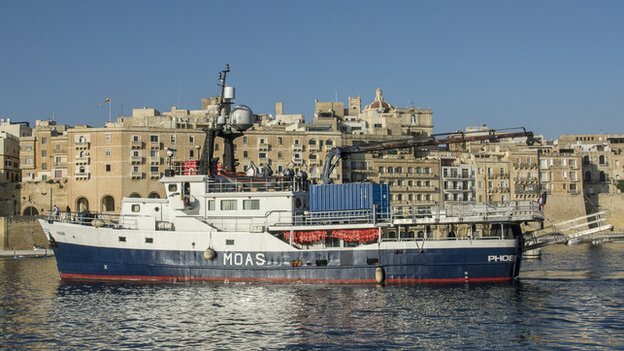 No-one from the Maltese government responded to interview requests about MOAS - migration has been a thorny issue for the local authorities, with Prime Minister Joseph Muscat saying his country is struggling to cope with the influx. But he was forced last year to cancel two flights repatriating migrants back to Libya by the European Court of Human Rights. 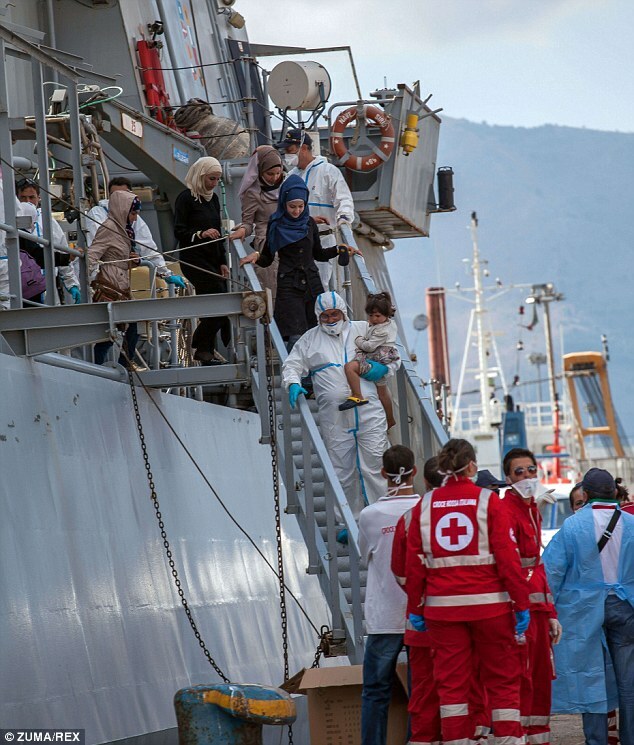 Maltese columnist Pamela Hansen says the MOAS operation will provoke mixed reactions in Malta, with some being pleased that lives are to be saved, but others being concerned more migrants will arrive as a result. "Obviously the authorities are going to be very cautious. They are worried because we do have a problem, just as Italy has a problem. The whole of Europe is anxious about this. "But because we perhaps are the first stage sometimes of where the migrants land, there's a bit more apprehension. "I don't know what the government's feeling about MOAS, but what I can tell you is there's a lot of public opinion that is anti-illegal immigration, so maybe the authorities are being rather cautious before they comment." While Regina is diplomatic about MOAS's "ongoing" dialogue with the local authorities, she does reveal the Phoenix is flying under the flag of Belize because the process of getting a Maltese registration was "taking too long". But she bristles at suggestions that the couple's cash should be deployed another way, perhaps to help migrants once they disembark. "There are NGOs doing that on land, but not at sea," she says. She mentions Mare Nostrum, the Italian navy and coastguard's search-and-rescue operation, launched after the October Lampedusa drownings. Doubt had been cast upon its long-term future, and now the EU and Italy have just announced the formation of Frontex Plus, an extension of its current border management scheme, to take over from Mare Nostrum in November. One migrant who did make it to Malta is 24-year-old Ibrahim Ahmed Adam, who arrived from Somalia via Libya in May 2012. "My boat broke down on the sea, and if I had not been rescued it would have been the last journey of my life. "So I can understand deeply the meaning the MOAS operation has for people at sea. It's a very good step."